Minority Whip Roy Blunt (Mo.) is expected to announce that he will not seek another term as the second highest-ranking Republican in the House, according to several sources familiar with his decision. 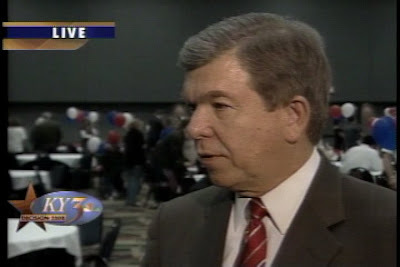 It was unclear when Blunt, who has held the position for three terms, will announce his decision publicly. Blunt’s departure will clear the way for his deputy, Rep. Eric Cantor. The Virginia Republican confirmed his run for the position earlier Wednesday. Cantor spokesman Rob Collins said that Cantor and Blunt had a discussion Wednesday morning, but declined to describe the nature of that conversation. Two sources familiar with the call said it was during this conversation that Blunt told Cantor he would not seek the post again. Blunt's office did not address whether the lawmaker had made a decision about his future but criticized those who sought to characterize the conversation between Cantor and Blunt. "It certainly is interesting how those who were not on the phone seem to think they know what was said. We prefer to allow private conversations to remain just that private," said Blunt spokeswoman Antonia Ferrier. "Mr. Blunt is considering his options on his own terms." Roll Call is reporting the same story HERE.